Prepared surveys, plans, and plats for the widening of an existing 4-lane divided road to a 6 and 8 lane elevated roadway. Provided surveys and plats required to widen 6 miles of this road. 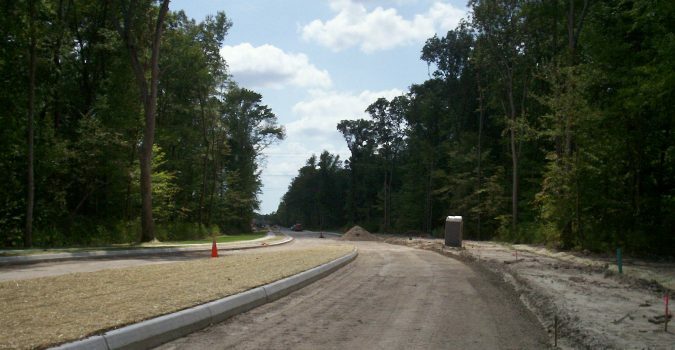 Phases 1, 2, & 3 – Surveyed 3 miles of a 4 and 6 lane divided arterial road for both the new and existing alignments. Prepared the necessary plans and plats for this critical road realignment. Developed surveys and plats on a “cross county” 3.5-mile limited access highway. Widening – Prepared surveys, plats, and plans to widen 0.5 miles of a narrow, congested roadway from 2 lanes to 4 and 5 lanes. Performed construction stakeout services.